Comic book movies; love them or hate them, they seem to be here to stay. Some people like the action and the special effects, whereas others admire the larger than life characters. There are those who want fun and laughter, while others want grit, grime and violence. The beauty about films based on comics is that there really is something out there for everyone. In recent years, Marvel Studios have made critically acclaimed, high grossing, big budget blockbusters. 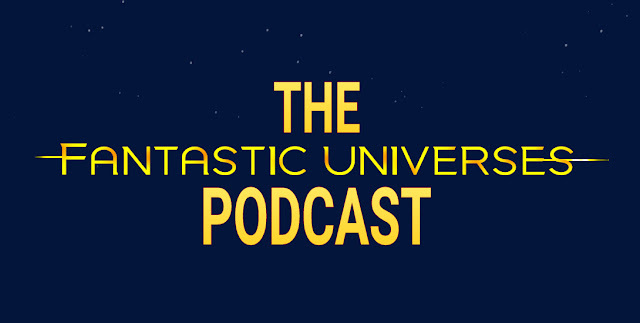 DC have also created their own shared movie universe, with less critical success but, I believe, with more artistic ambition and creativity. I do enjoy the Marvel movies, but appreciate the more grounded DC perspective. Marvel, though, are still well behind DC when it comes to animation. In my opinion, the DC Animated Universe movies are the best. 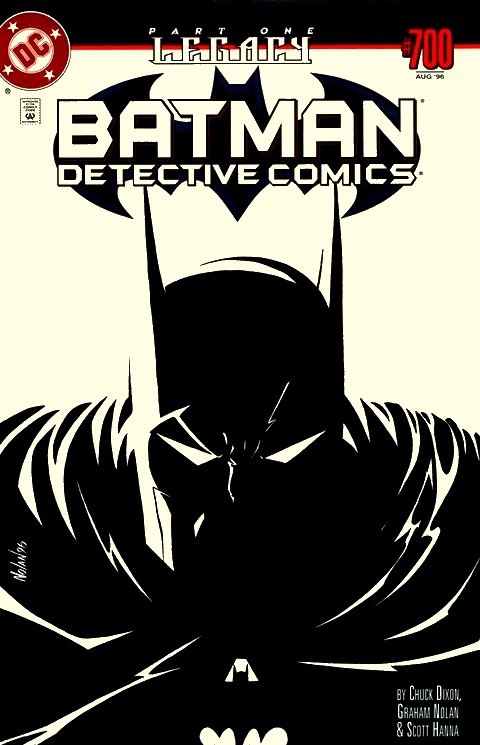 For a Batman fan, the classic DC Animated stories featuring our favorite Dark Knight Detective have been exceptional. Legendary tales like Year One, The Dark Knight Returns and Under The Red Hood translated brilliantly from page to screen. The Justice League animated films War, Throne Of Atlantis and Justice League Dark have successfully shown Batman as part of a team. Son Of Batman, Batman Vs. Robin and Bad Blood have let us see Batman as both a father and as a trainer to the next generation of crime-fighters. Are there still any stories worth retelling? Real gems that can be repackaged as animated movies, for a brand new audience to discover? We’ve already seen Batman’s origin dozens of times. The Joker is as famous as Batman is, so are Robin and Batgirl. What’s left to see? We need more stories that show Batman as what he is. Perhaps more than any other comics character, Batman is a human being. Yes, he’s a hero, a martial artist, a detective, a billionaire and a legend, but he bleeds, he suffers, he feels loss… and yet still, he keeps fighting. 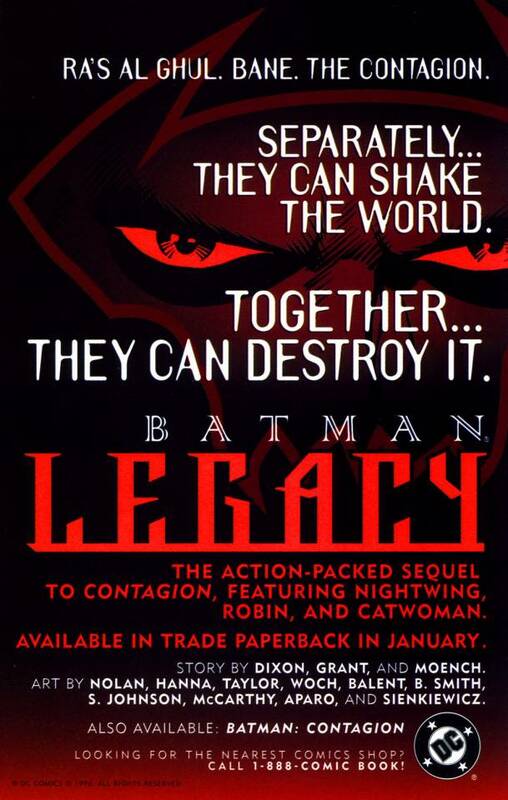 Stories like Contagion, Legacy, Cataclysm and No Man’s Land are prime examples of this kind of story. In Contagion, the enemy is a virus. This isn’t a baddie that Bruce can punch, kick, or lock up in Arkham Asylum. This enemy is invisible, deadly and can destroy his city, his friends and his family. 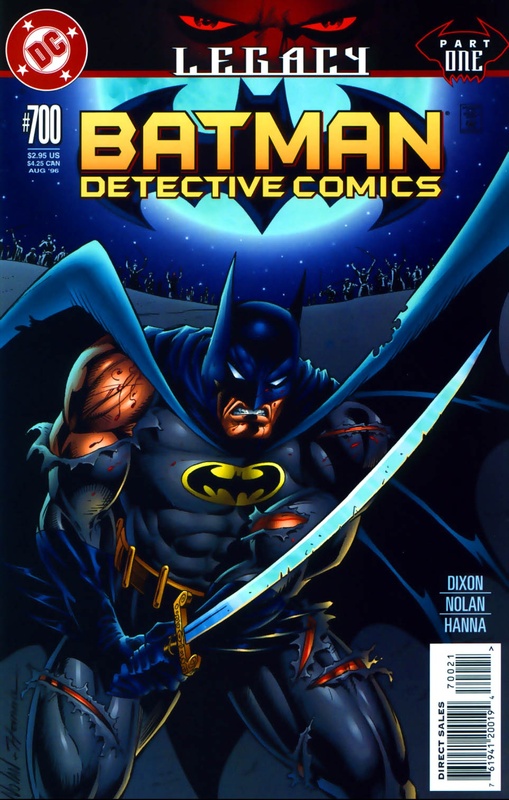 For someone who is frequently called the World’s Greatest Detective, this is a side of Batman that I feel we really don’t see enough of. Watching him uncover clues, search for a cure, and almost lose another Robin in the process made the Contagion comics unmissable. How cool would that story be, brought to life in animation? 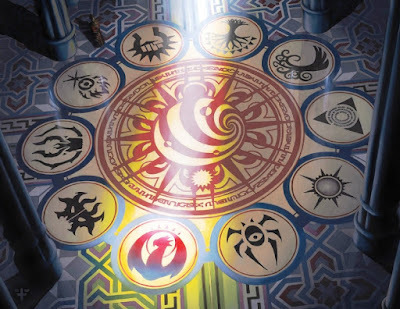 In Legacy, we discover the same virus can come back more virulent, and was actually engineered that way from the start. 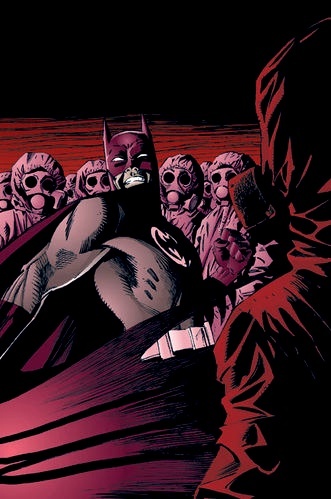 Here we see Batman discover the origin of the disease, and learn of the dark allegiances behind it. A teaming of enemies that could prove more than even his band of trusted heroes can handle. 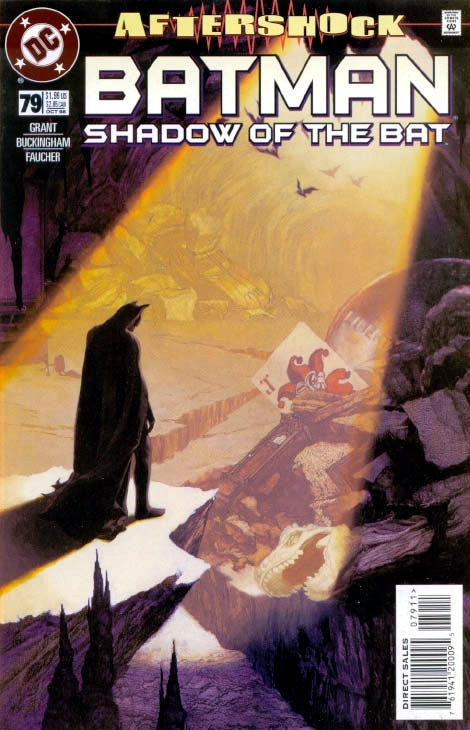 Batman and his allies versus an evil army and a deadly plague. I’d watch the hell out of that! 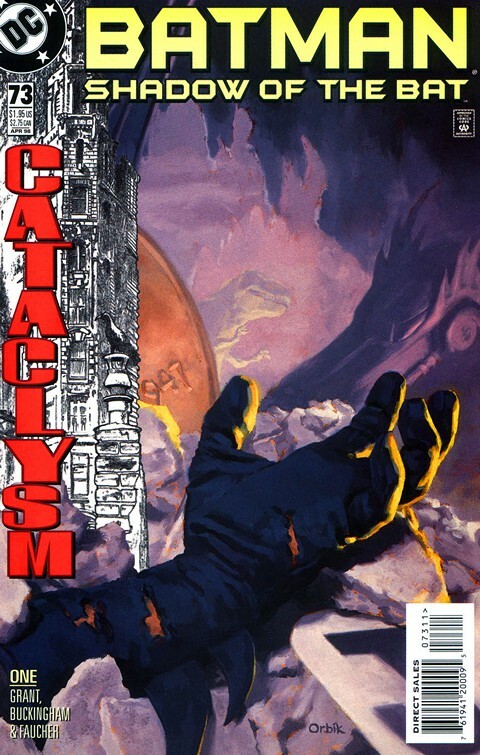 In Cataclysm, one of Batman’s most trusted allies, the very city he lived in and loved, became his enemy. Much like a virus, an earthquake is something that’s pretty hard to fight. The buildings and landmarks he once knew were gone. The trusty flagpole he could throw a bat-line around – collapsed. The handy ledge he could grasp to save himself – broken. The gargoyle he’d hide behind to surprise his prey – rubble. 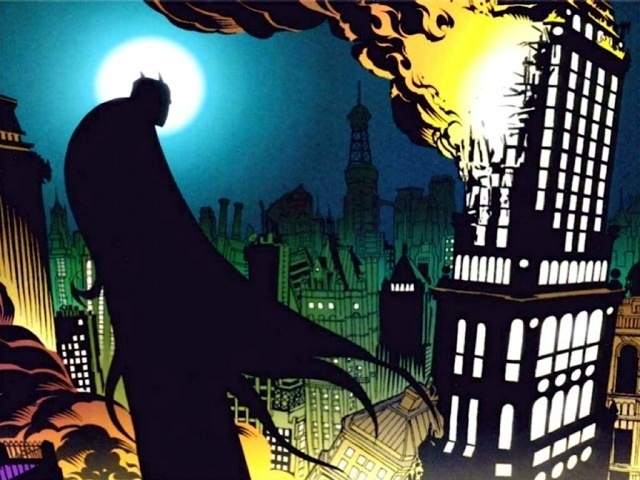 The city that Batman saw as his, was now unrecognisable and deadly. The home he’d saved countless times, was ultimately broken by mother nature herself. The Batcave was exposed, Wayne Manor had collapsed. Need I say more? We always knew that Gotham City was a dangerous place, but viruses, earthquakes AND supervillains?!? 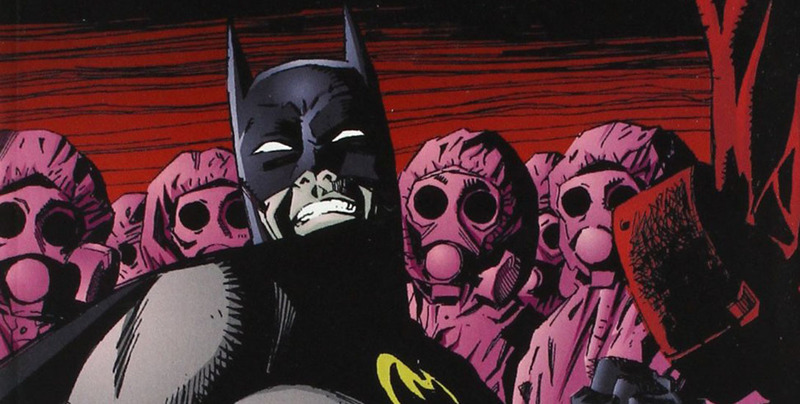 After the events of Contagion, Legacy and Cataclysm the U.S. Government closed off Gotham City, blew up the bridges and left whoever was unlucky enough to get left behind to their own devices. What was left was no longer a city, or even seen as part of America. It was a No Man’s Land. No electricity, no justice, no way out. The city reverted to barbarism, feudal law, kingdoms and fiefdoms ruled by gangs or vigilantes. This story not only served as an inspiration for Christopher Nolan’s The Dark Knight Rises, but to the creators of The Walking Dead too. In a land where there was no law, vigilante justice and turf wars became more than just standard comic book fare, they became a way of life. 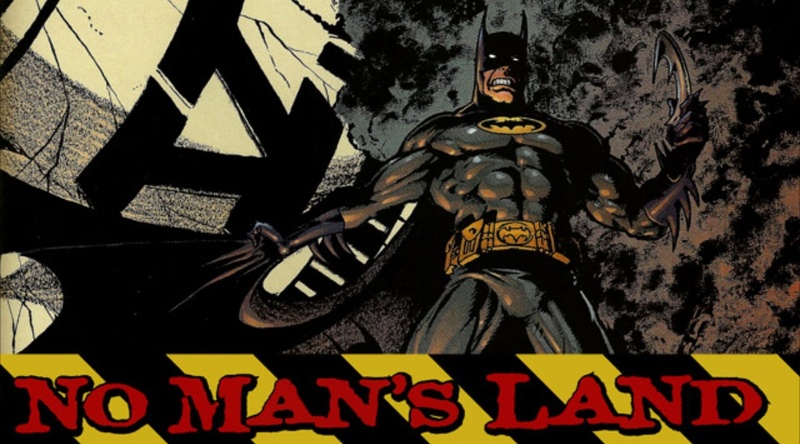 From the opening story of the arc; No Law And A New Order, No Man’s Landbroke new ground and truly gave us a fresh, unnerving take on Batman’s world. The beautiful part of those stories is that they work alone, and as an ongoing arc. Wouldn’t they be amazing as a series of animated movies? Of course, this is only the tip of the iceberg. DC has almost a century’s worth of stories to play with. Who wouldn’t want to see the Knightfall trilogy animated? 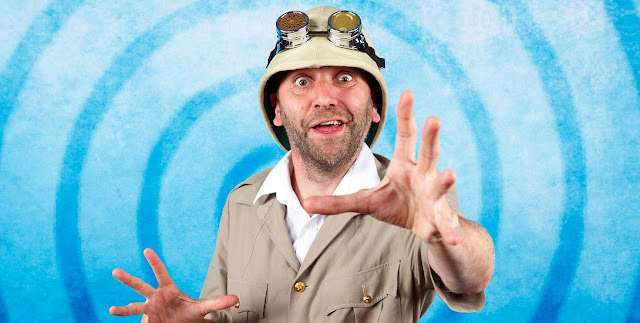 The audio dramatisation and subsequent CD release of this epic storyline was incredible! 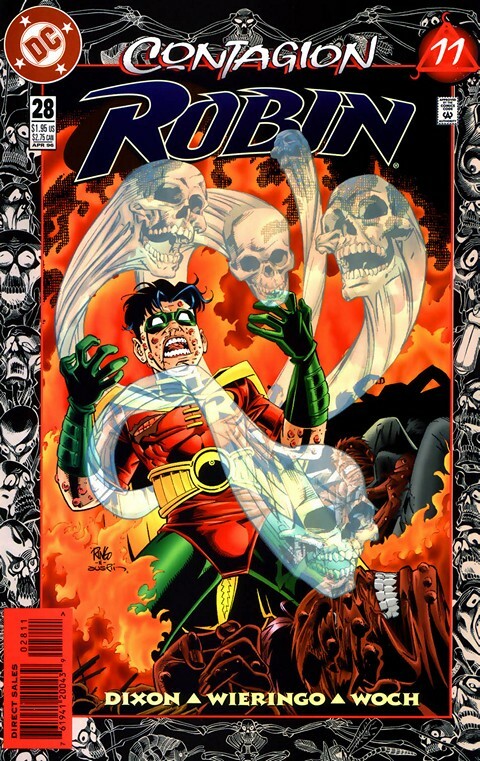 The Long Halloween, Dark Victory, The Cult, War Games, The Court Of Owls, Batman: R.I.P., Superheavy… the list is endless. The only thing that I know for sure is that I’ll be watching. Will you?